Just as we expected, Apple announced the next versions of its best-selling smartphones, the iPhone 6S and 6S Plus, at its annual launch event in San Francisco. The iPhone 6S features a 4.7-inch retina display while the 6S Plus features a 5.5-inch retina display. We can say with reservation that both the two iPhones absolutely rock for watching movies. Of course, most of us are not about to play iTunes' ridiculous prices to watch movies and TV shows we already own on DVD. Instead, we'll just need to rip those DVD discs to an iPhone 6S/iPhone 6S Plus friendly format. In fact, it is easy to watch DVD videos on iPhone 6S and iPhone 6S Plus as long as yo got a DVD Ripper in hand. There is a number of DVD Ripping software available to help you convert DVD videos if you want to play them on iPhone 6s, iPhone 6s Plus, iPhone 6, iPad Air 2, iPad Mini 2/3, etc. These software programs vary, so you might be confused when you have to choose one. 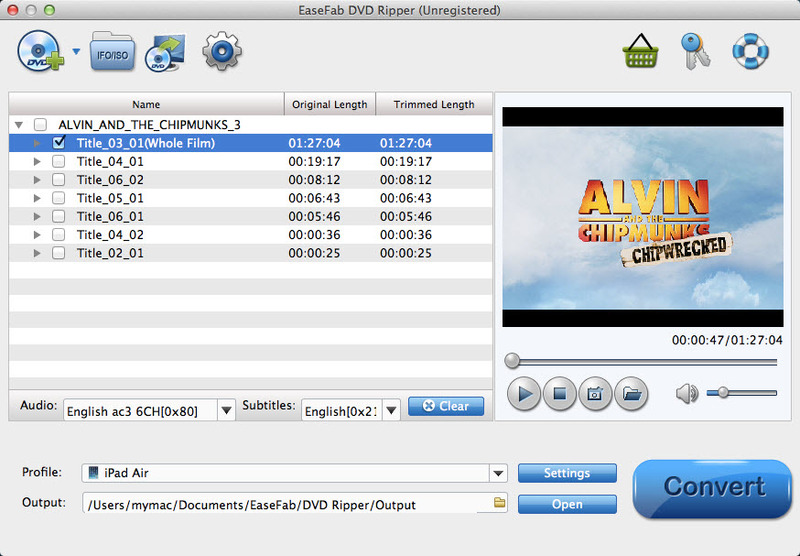 If so, you are recommended to use EaseFab DVD to iPhone converter for Mac. It is rated as the best solution to rip DVDs to iPhone 6S/iPhone 6S Plus on Mac OS X(E1 Capitan & Yosemite included). Overall, the DVD converter for iPhone can copy entire DVD movies to iPhone 6S/iPhone 6S Plus with extremely fast speed while preserve the original high quality. The audio/video synchronization is very good, the size of the subtitles too. Besides all iPhone models, it also has optimized outputs for iPod, Apple TV and iPad (including iPad Air, iPad Mini 2). Play DVD on Android mobile phones is also a simple case with this DVD converting tool. If you're using a Windows, you can turn to the Windows version. Now just download the right program and follow the easy guide below to convert and transfer DVD to iPhone 6S/iPhone 6S Plus for entertainment. 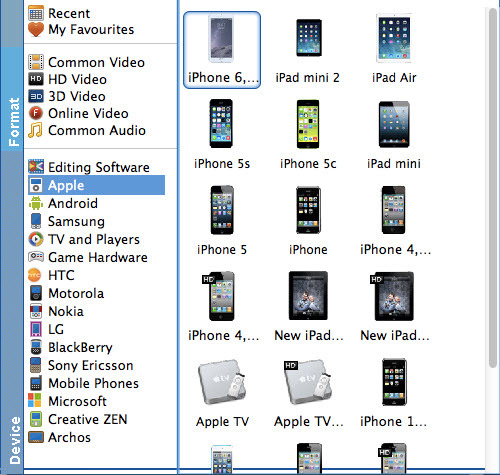 The guide below uses the DVD converter Mac version's screenshots. The way to rip videos from DVD for iPhone 6s, iPhone 6s Plus on Windows (Windows 10)is the same. You just need to make sure you get the right version according to your needs. Click "Profile" box and move mouse cursor to "Apple" category, select "iPhone 6, 6 Plus" as the output format. The output videos also seamlessly fit iPhone 6s, iPhone 6s Plus. At last, click the Start button to begin converting DVD movies to iPhone 6S/iPhone 6S Plus immediately. The conversion only take 10-15 minutes or even less. Once you ascertain that the conversion is successfully completed, you can import the file anywhere you wish to even in the media player as long as the file is iTunes friendly. First, locate the output file where you have saved the videos. Then open the iTunes app so that you can import the output videos to it. This can be done by dragging and dropping the media file. If the transfer is successful you can further transfer the converted DVD file to your iPhone 6s, iPhone 6s Plus and you can easily enjoy them everywhere you wish to.